Stay-at-home moms got offended by the posts of a working mom on social media! MUST READ! Home / Life / Stay-at-home moms got offended by the posts of a working mom on social media! MUST READ! These days, a lot of women are choosing to be a stay-at-home mom or SAHM, so that there'd be someone who would take of their children. However, not everyone has the same thoughts about SAHM. 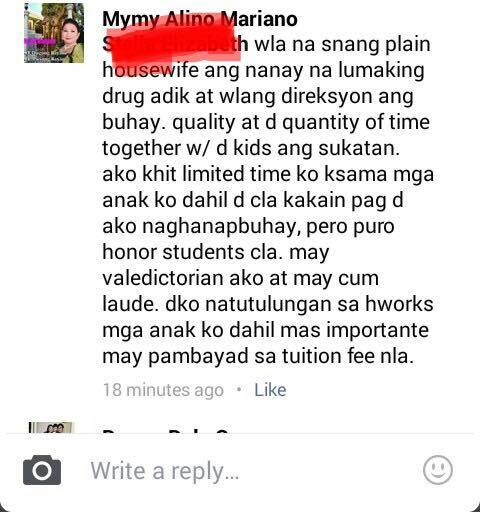 A woman named Mymy Alino Mariano posted her thoughts about SAHM on her Facebook account. Unintentionally, the SAHMs got offended by the choice of words of Mariano. 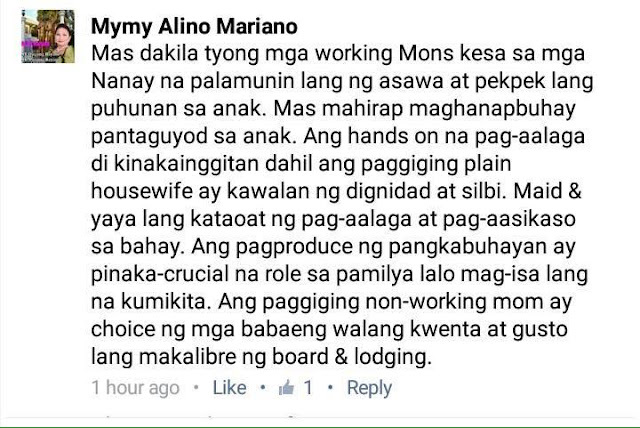 On her Facebook posts, she stated that working moms are far better than the those who chose to stay at home, because they're the ones who work hard to earn money for their child. A lot of stay-at-home moms got insulted with Mariano's thoughts. 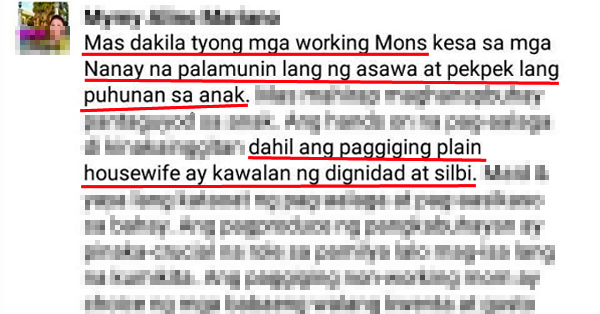 In fact, one of the SAHM moms wasn't able to control herself and decided to respond to what Mariano has posted. 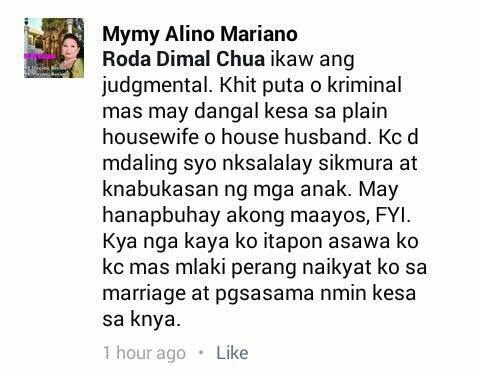 A Facebook user named Amber Cruz used her Facebook account to react about the issue. 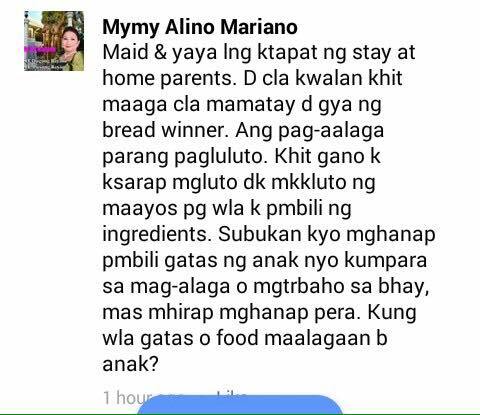 She claims that after reading the post, she felt irritated, but as she reads it again, she felt sad for Mariano. She claims that it saddens her to know that some people are thinking like Mariano. Amber Cruz also emphasized that she chose to stay at home with her kids for her to be able to look after them as they grow older. In the end, she stated that SAHM are more than just women who babysits their children! What are your thoughts about this issue?